• Nonprofit Finance Fund recently released survey results that detailed nonprofit leaders responses, including the hardships of navigating funding and organizational health. • How should funders respond to this survey? Is there space for partnerships and ways to collaborate on solutions? • Read about how funders can support new nonprofit mindsets. Nonprofit Finance Fund’s recent State of the Nonprofit Sector Survey captured some of the unvarnished realities that US nonprofits and the people they serve navigate daily. Nearly 3,400 nonprofit leaders, representing all 50 states, shared survey responses detailing their organizations’ financial health and what they wish funders, partners, and society at large better understood. Here, we share four observations worth keeping in mind. Some may seem all too familiar, but if we are to make sustained progress against today’s social challenges, effectively responding to what these leaders need is one of the best places to start. Funding Practices Continue to Stymie Innovation Nonprofits have front-line experience combatting the opioid crisis, reducing hunger, and understanding what it takes for a homeless mother to build financial stability. Nonprofits Get and Keep People on Their Feet Take homelessness. The links between housing, health, and economic mobility are well established, and according to the National Health Care for the Homeless Council, people who are homeless have higher rates of illness and die on average 12 years sooner than the general US population. 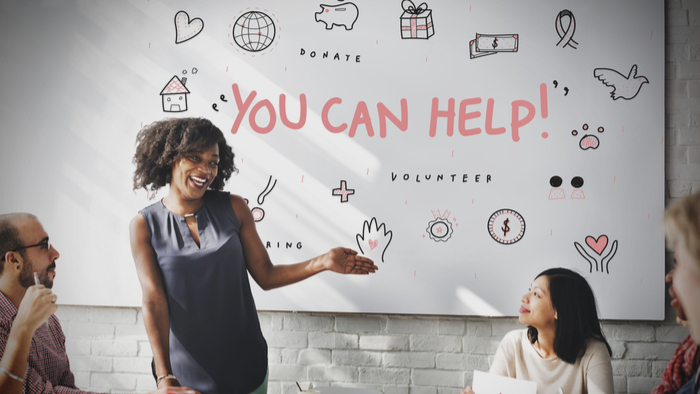 Nonprofits Are First Responders to Inequity Sixty-four percent of respondents said their organizations address racial inequity; of those, half increased their focus on the issue in 2017. It’s Hard to Attract and Retain Top Talent with Limited and Restricted Funding A New Hampshire human services leader shared, “Funding constraints [that] lead to low wages make it very difficult to hire staff. Even close partners and supporters of nonprofits may underestimate the skill, creativity, and juggling required to run a business that delivers social good. These stories from the field reveal patterns that demand our attention and action. All of us must strive to better understand and more effectively respond to nonprofits’ opportunities and challenges. Only then can we realize the full value of philanthropic investment in our society. Read the full article about nonprofit leaders sharing insight by Antony Bugg-Levine & Kerry Sullivan at Stanford Social Innovation Review.